Enough chatter, here is the midseason top five. Probably my favourite player to watch so far this season. I think the best way to describe McCallum’s game is he is “the Brad Marchand of the Alliance”. McCallum will continually poke and prod opponents to draw penalties, but he isn’t afraid to get into it \himself as can be seen be his league leading penalty minute total. At the same time, McCallum is superbly talented offensively and his creativity with the puck is second to none. He’s the type of player you love to have on your team, but hate to play against. The complete package when it comes to a centre in the upcoming draft. Size, skill, shot and speed. When teams gameplan to play the Cyclones, their top objective is to stop Goure. His breakaway speed is what sets him apart as he can grab the puck and its off to the races for the defense. Goure has an above average shot and his strength should make a transition to junior hockey quite easy. Goure leads Chatham’s offense and with their recent surge, don’t be surprised to see Goure possible go in the top 60 of the OHL draft. Without a doubt the best defense in the Alliance, Hipkin has picked up where he left off last season with an even stronger skill set. Logging heavy minutes for the 99ers, Hipkin has always shown the strength of his game in his own end, but it is his work in the offensive zone, including leading the rush, that has talk about a possible first round selection. In the four years this site has existed, Hipkin is probably the best defense prospect to come out of the Alliance. Pure goal scorer. That’s how you describe the game of Harrison. Harrison has nearly twice as many goals as anyone else in the league and that comes from his accurate shot with a lightning quick release. A skilled baseball player during the summer, Harrison is putting up numbers that haven’t been seen in the Alliance since a young man by the name of Nick Suzuki wore the Jr. Knights green and black. Harrison is comfortable in all aspects of the game and plays a strong point on the London powerplay. There have been guys who’ve led the league in goals in the past who haven’t translated that success to the OHL, but I don’t believe Harrison follows that suit. He will make an OHL team very happy come early April. Shouldn’t be much of a surprise that Callens tops the list at the midseason point. The 2nd year minor midget forward at times looks like a man amongst boys on the ice the way he barrels through the defense. Displayed his great shot last season and has showcased it even more this year. His speed on the outside gives him the advantage and he uses it to normally cut in and go top corner. Callens has a physical edge to his game that shows no fear grinding in the corners and along the boards. Callens is ready to make the jump to the OHL as a 16 year old and I fully expect him to be the first Alliance name called in April. Click here to check out player rankings 16-25 plus honourable mentions. 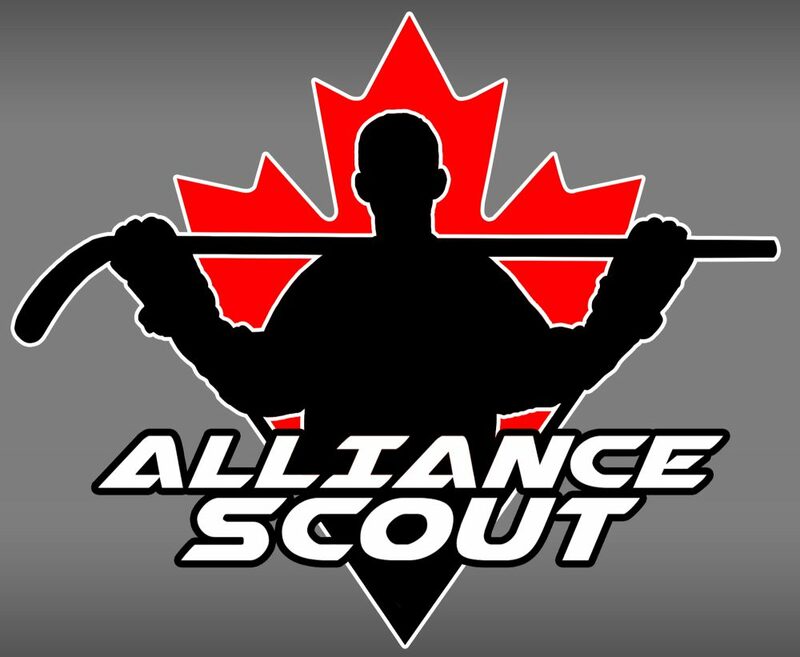 This entry was posted in Alliance Hockey, Alliance Rankings, Alliance Scout, Brantford 99ers, Chatham-Kent Cyclones, London Jr. Knights, ohl draft and tagged 2019 ohl draft, Brantford 99ers, brett harrison, Chatham-Kent Cyclones, cole hipkin, deni goure, landon mccallum, london jr. knights, maddox callens, ohl draft, player rankings by Dave Coulson. Bookmark the permalink.